Area rug cleaning in Oakville has never been easier with us! Area rugs have always managed to make a room more welcoming, while also giving it some extra style and even comfort. They are a great way to bring a room and even an office together and make it seem warmer and a lot more comfortable. This is exactly why it is important to keep these areas clean and free of dirt, dust and grime. However, given the fact that area rugs are usually placed in the middle of a room, which is usually an area with high traffic, they generally get dirty quite easily. They manage to gather a lot of dust, dirt, dust mites, grime and even harmful allergens. Unfortunately, a regular cleaning routine is far from being enough to get all the dirt out, do professional help is always recommended in these cases. Area rugs are often imported, incredibly expensive, designer items that are more meant for making a fashion statement rather than simply making a room cozier. They are made out of delicate fabrics that are usually quite difficult to clean without damaging their fibers. Thankfully, the best area rug cleaning in Oakville is here to save the day! 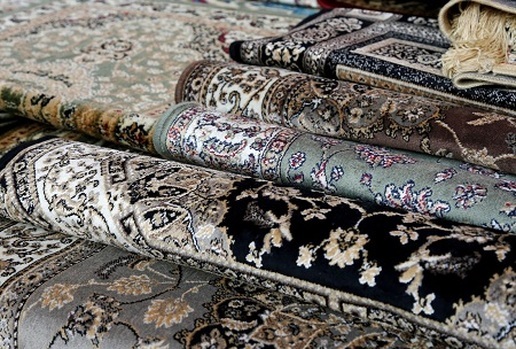 Our company has been rug cleaning service and deep cleaning area rugs for years and we can guarantee the best results possible without any damage done to the fabric. Our highly trained technicians have been working with various types off rugs and they know exactly what temperatures, cleaning solutions and what techniques to use depending on the fabric. You can count on us to restore you mats and area rugs and make them look like new again! We can also help you when it comes to stain and odor removal. Your area rugs will not only look, but also smell incredibly good. On top of that, due to our innovative techniques, your rugs will be free of allergens and dangerous dust mites. You can count on us to help you build a healthier and more sanitary environment for you, your family or your employees. We are one of the most well respected and experienced companies in the area. We pride ourselves in offering our customers the best services possible, regardless of the situation. We have the most up to date equipment, the safest and most effective cleaning solutions and we work with the best trained cleaning technicians in the area. These things have turned us into the leading carpet cleaning company in Oakville and ﻿Richmond﻿. Our number one priority is to have satisfied customers. We always hold our work to the highest standards and give our very best in order for our customers to have the most professional and effective carpet cleaning, rug and upholstery cleaning services. Moreover, we have a very dedicated customer care service that is available 24/7 to answer all of your questions. We are, without a doubt, the company that has the most affordable prices in the area. We can work not only around your schedule, but also around your budget!